Remember Officer Apricot? Probably not; he's only appeared twice before, here and here. 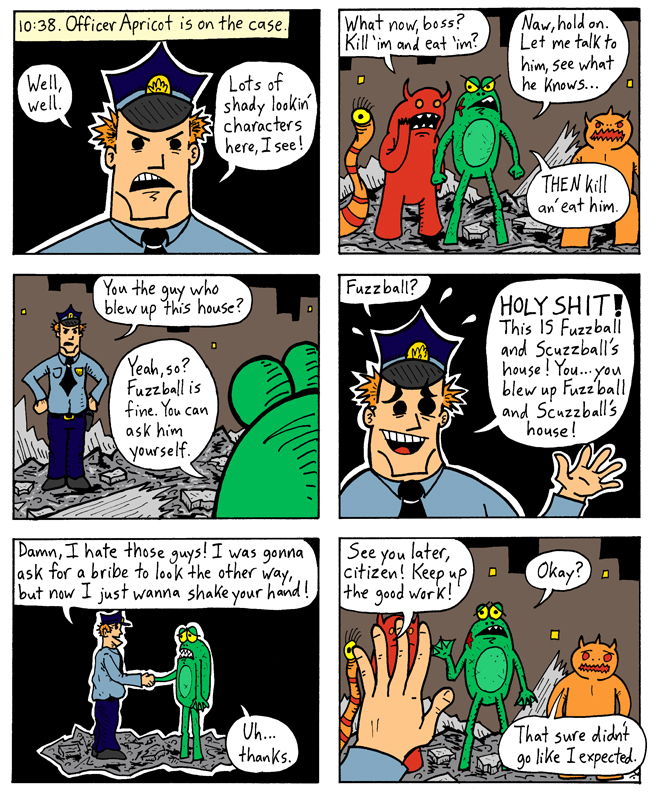 In his previous appearance, Officer Apricot arrested Fuzzball and Scuzzball. Scuzzball claimed that Apricot was corrupt and had it in for him. Fuzzball argued that it was all Scuzzball's fault, and that Apricot only arrested them because of Scuzzball's "shady dealings." Now, at long last, we know the truth--Officer Apricot really is corrupt. Next Week: Find out how Fuzzball is coping with all this!